Welcome back to the Sunday Shootaround. 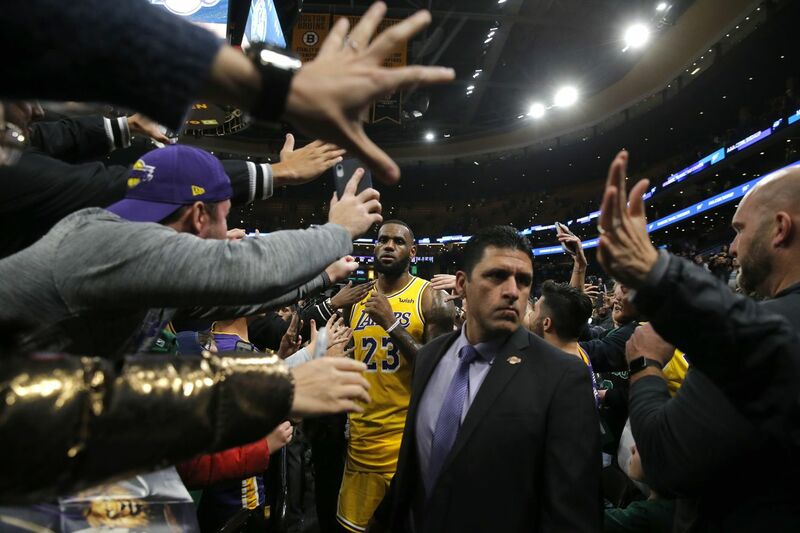 BOSTON — LeBron James figured out an essential truth years ago: The quietest place in the storm is the eerie calm of the middle. He’s grown so comfortable amid the maelstrom surrounding him that it may as well be his second home. In the words of a scout, the second round of the Eastern Conference playoffs is, “Going to be a motherf—er.” Milwaukee, Toronto, and Philly all loaded up at the deadline while the Celtics did what they needed to do to position themselves for their long-awaited pursuit of Anthony Davis. Let’s recast the Eastern contenders in the wake of the transactional flood. With a top-five offense and defense translating into the best point differential in the league, the Bucks were the odds-on favorite to come out of the East even before the deadline. Adding a true stretch-four in Niko Mirotic to the mix only strengthens that view. Milwaukee needs space for Giannis Antetokounmpo to wreak havoc. Mirotic provides superior shooting along with a bit of rebounding and all the positional versatility you could want for the Bucks’ giant front line. The deer were already to be feared. Now they’re the hunted. Marc Gasol may have lost a step from his All-NBA days, but he’s still a force. While acquiring him took a chunk out of Toronto’s depth, the cost wasn’t prohibitively expensive for a player of his caliber. You could say that the Raptors went all-in, but they already were after acquiring Kawhi Leonard over the summer. The trick for coach Nick Nurse will be juggling frontcourt rotations featuring Gasol, Pascal Siakam, and Serge Ibaka. As always come playoff time, expectations for the Raptors are in the eye of the beholder. In the midst of a career season, Tobias Harris is exactly the kind of rangy, hyper-efficient stretch four the Sixers needed to flesh out their already formidable offense. Still, that’s a lot of dudes who need the ball and with Harris, Jimmy Butler, and J.J. Redick coming up on free agency, it’s a lot of dudes who will also be looking for new contracts in July. Philly GM Elton Brand is betting on talent and it will be up to coach Brett Brown to forge a cohesive unit in a short amount of time for a group that was already searching for an identity. But man, that’s a lot of freaking talent. The Celtics opened up a roster spot by ridding themselves of Jabari Bird. That will give them the chance to utilize the mid-level exception on a veteran free agent for the stretch run and possibly serve as a salary piece of an Anthony Davis trade. With AD still in play, Danny Ainge will get his chance to swing a blockbuster deal. 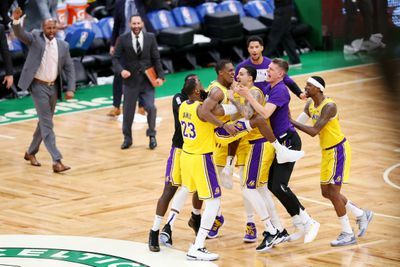 That was the C’s best case scenario, but the strange part of the equation is that they’re also trying to compete for a championship with the very players who will be part of an AD package. That has the potential to serve as either a unifying force or the element that tears them apart. When the Pacers lost Victor Oladipo to a season-ending leg injury, they also lost their best shot at breaking into the top four in the East. Still, you take this team lightly at your peril. Nate McMillan’s defensive-minded squad is smart and connected, traits that will serve them well the rest of the season. Indy was quiet at the deadline, but adding Wes Matthews on the buyout market was a coup. Just one more savvy veteran to make someone uncomfortable come playoff time. “Now y’all piling on me because I don’t want to talk to y’all about that. I have nothing to do with the Knicks. I don’t know who traded (Kristaps) Porzingis. That got nothing to do with me. I’m trying to play basketball. Y’all come in here every day, ask me about free agency, ask my teammates, my coaches, rile up the fans about it.” — Kevin Durant. Reaction: The only thing more insufferable than blaming the media is the backlash. Still, KD’s obliviousness to the reality in which he exists would be absurd if it wasn’t so strange. ”We’re trying to win. We’re going to end that talk right now. We’re trying to win. If we don’t get that pick, lose it, we can get it back another way. There’s not been one mention of that.” — Clippers coach Doc Rivers. Reaction: This is why it’s a good idea to separate your coach from long-term decision making. All credit to Doc, who’s reminding everyone what a fantastic coach he is, but the long view is a front office requirement. The Clippers have set themselves up exceedingly well for this summer. “To get the players that you would want – or that extra star – we don’t have that flexibility; it’s not happening. We’re starting it; these are smaller moves on the sides but we again don’t have that flexibility to get another star to go alongside Blake [Griffin].” — Pistons general manager Ed Stefanski. Reaction: The Pistons have been wandering in the wilderness of mediocrity for a while. Before he can even address Detroit’s lack of talent, Stefanski needs to clean up the mess leftover from the Stan Van Gundy era. Seriously, don’t let your coach be the GM. “We had been looking for an opportunity like this. We, like the rest of the league, thought very highly of Markelle at the draft and we were just very happy when it turned out to actually be there for us to execute.” — Orlando GM Jeff Weltman after trading for Markelle Fultz. Reaction: You won’t find anyone in the league who isn’t rooting for Fultz to get his career back on track. Orlando should be the perfect environment. “That was definitely awkward. Boo? OK. It doesn’t matter to me. I’m going to go out there and play basketball. But hey, that’s life, man. Some people are not gonna like me. I’m just happy to be back on the floor playing the game that I love.” — Anthony Davis after returning to a mixed reaction from the New Orleans crowd. Reaction: The next few months are going to be exceedingly awkward for everyone involved. The fallout is only beginning.